Sri Shirdi Sai temple is open daily from 7:00 a.m to 9:00 p.m.(Summer hours). Daily program includes Kakad Arathi at 7 a.m. followed by Abhisek. Madhayana Arathi at 12 noon, Dhoop Arathi at 6 p.m. and Shej Arathi at 9 p.m. Archana, Homams, Sahasranama and sponsored poojas continue in between the Arathis. To request a pooja for yourselves, your friends and family, please call. Devotees can request water (Abhishek Jal) from the Holy bathing of Baba by sending us an email or by phone. 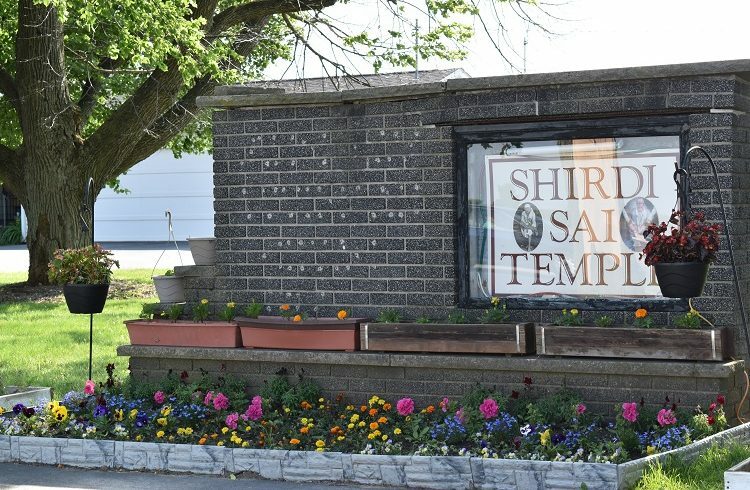 Temple is located 25 minutes drive west of Schaumburg on intersection of IL Route 47 and Plank Road in Hampshire, IL. For more information please call 847-931-4058 or send email to maildrop@saibaba.org.